Are you looking for a different way to train your managers and team? 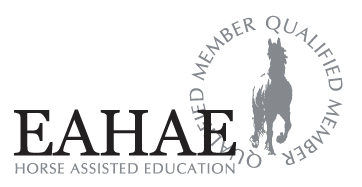 Try horse assisted management training and team building events. directly transferable to your daily work. First seminars starting in September 2013. Horses are not prejudiced and mirror our behaviour directly - here and now. They accept honesty, trust and strength. They are not impressed by status symbols and outer appearance. They follow us only when we know where we want to go - and when we are convinced that what we are doing is right. "Nina Butzke had a very special idea for our summer party in the countryside: a leadership training with horses. Oh my god! Not even as a girl had I ever been interested in horses and in addition to that I was afraid of those big animals. There was no way I was to sit on a horseback! Fortunately, I didn't have to, since that was not the point of the training at all. The seminar was a great enrichment and the best - because most extraordinary - leadership training and team building seminar I ever experienced. The big learning effect was to understand how important it is to watch attentively and to notice individualism and to respond to it, in order to motivate and lead. A real alternative to leadership seminars that aim at teaching best practices and standards and thereby risk to measure everything by the same yardstick. In times of "diversity" I can't think of any more relevant seminar and I can only encourage everyone to take part in Nina's seminar - the effect is astounding!" Would you like to stay up to date with our newsletter?